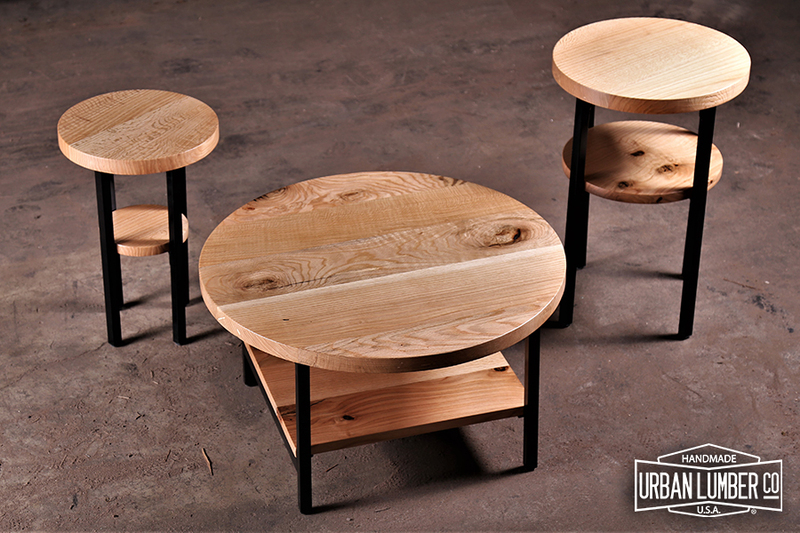 Showcasing Wood Species in the PNW with Reclaimed Custom Furnishings made of Salvaged City Trees — Urban Lumber Co.
your home or commercial space. This species, native to Oregon’s Willamette Valley, benefits from the unique climate which provides ideal growing conditions, and produces extraordinary rich color variety, grain patterns and figuring. Black Walnut is prized by woodworkers for it’s cooperative working characteristics, strength, and dimensional stability. Heartwood can range from a pale brown to a dark chocolate brown with darker red toned streaks. Our local trees feature grey, purple, and red hues, with sapwood being a pale yellow-gray to a near white shade. Big leaf maple is the type most commonly found throughout the Pacific Northwest. Colors vary from near white sapwood to deep ambers, golds, and blond heartwood, with grain that is most often wavy and full of unique character. Other species like silver maple often contain fair amounts of curl and quilted figure. Additionally, maple burl and birds eye are unique features that are highly sought after for their beautiful textures. Maple is a favorite of woodworkers for it’s easy workability, beautiful coloration and straight grain. Maple lumber contains an array of complex grains and figure. We are proud to mill some of the most beautiful maple lumber on the market today. Oregon Oak has light-colored sapwood and the heartwood is light-to-medium brown. Oak is mostly straight-grained but can feature wavy grain and interesting flecking patterns. Most commonly we stock White Oak, which has a pale sapwood and a slightly yellow or grey undertone. Additionally, Pin Oak and Red Oak has a warmer honey tone with a touch of red (pictured to the left). Oak is a hard and heavy wood. It has great wear-resistance and takes on wood stains or washes beautifully. Several varieties of Elm grow within Oregon’s Willamette Valley, although Elm is more commonly found in the Midwest and the East Coast. The American, Red, and Chinese varieties of elm, which grow locally, are commonly seen as neighborhood shade trees. Elm lumber is characterized by interlocking grain, which gives it tremendous visual appeal. The main coloration of the wood is typically medium brown, but can vary from radiant yellow to gold hues to subtle greys. Oregon Redwood's iconic beauty is typified by rich cinnamon-colored heartwood, cream-colored sapwood, distinctive grain and performance that keep projects looking good for years. Characteristic knots are prevalent throughout the slabs. Redwood offers a broad array of appearances, giving specifiers several choices in color, visual texture and scale. Natural stability is the key to redwood’s long-lasting performance. Redwood is less likely to warp, cup, check and pop nails because it has less shrinking and swelling. Stability and little or no pitch content also help redwood hold finishes well. Redwood’s stability is a guarantee of long-lasting beauty. Have a different wood type in mind?